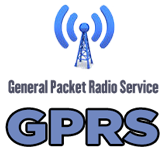 GPRS is full form for General Packet Radio Service is the Mobile Data Service provided to users of IS-136 and GSM mobile phones. The transmission channel is divided among the users for sending the data. Data is sent in packets. You will learn about GPRS Basics in this tutorial. Beginners who are starting to understand basic concepts of GPRS and continue to advanced concepts are the prime focus. One should know basic Telecom terms to practice with various examples.